Shawn Colvin began life on the South Dakota prairie where the great sky was a canvas on which to paint her dreams. Her father gave her a guitar at age 10 and she has been pursuing a music career ever since. In 1989, her debut recording won a Grammy for Best Contemporary Folk Album. Nine years later, she won two Grammys for the hit song “Sunny Came Home.” But she battled alcoholism, depression and bad choices in love along the road to success. In a new memoir, she describes how she found her voice as a songwriter–and why she thinks she’s a lousy girlfriend and an even worse wife. 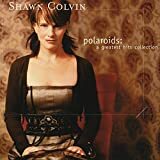 Shawn Colvin Grammy Award- winning singer-songwriter and musician. Excerpt from “Diamond in the Rough” by Shawn Colvin. Copyright 2012 by Shawn Colvin. Reprinted here by permission of William Morrow. All rights reserved. MS. DIANE REHMThanks for joining. I'm Diane Rehm. In the late '90s, the song "Sunny Came Home" made the top ten charts. 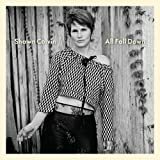 It also won two Grammy awards for singer/songwriter Shawn Colvin. In a new memoir, Colvin opens up about her drinking and depression and how she's arrived at a place of emotional peace. MS. DIANE REHMShe has a new album out this week, "All Fall Down." Her memoir is titled "Diamond in the Rough." Shawn Colvin joins me in the studio. We'll welcome your questions and comments. Join us on 800-433-8850. Send us your email to drshow@wamu.org. Join us on Facebook or Twitter. Good morning, it's good to have you here. MS. SHAWN COLVINThank you so much, it's good to be here. REHMI wish people could see you. You have on this gorgeous jacket that's filled with rhinestones and red beads. Where did that come from? COLVINOh, it came from a store yesterday when I felt the terrible urge to go and get something new because I've been working hard. It's a problem that I have. REHMWhat do you mean, it's a problem? COLVINSo I had to have it. REHMI'm glad you bought it for yourself. REHMI want our listeners to hear a clip of your big breakout song "Sunny Came Home" because in 1998, it won Grammys for Record of the Year and Song of the Year. REHMTell me about this song because you've written that Sunny is you. COLVINI did say that, didn't I? Well, you know, I don't see how you write a song, I don't see how one writes a song without involving at least their emotions, even if they're writing about another character. I mean, what novelist doesn't include their own experience and cast themselves somewhere in that book. COLVINYou know, somewhere from their experiences, their points of view and they give them to another character, but there they are, I think. And this was a fun song to write because although I would not burn the house down, you know, it was fun to be kind of bad, to be kind of a bad Sunny. REHMI find myself wanting to dance. REHMAnd you, I mean, you're here sitting across from me. You describe yourself in the first pages of this book as having a desire to be an arsonist, really? COLVINNo, I don't think I have a desire, I think I've actually been an arsonist. And I think I describe the times that I have, hopefully in the humorous way that I overview them, but, you know, I've set a few fires. REHMYou have, and you started out setting this fire in a field and then running to tell your father about it and saying it happened by accident, you had nothing to do with it and he knew full well. COLVINHe did. We lived in South Dakota and there was a lot of grass to burn and I just couldn't help myself, finally, at the age of 11 or so. Yes, he knew full well that I had set the fire because he'd set some fires too when he was a kid. It's like a rite of passage and he didn't bust me. He came out and put out the fire and I had learned my lesson. It was scary so I didn't do it again. REHMYou never set another fire? COLVINWell, not in a place where it could thrive like that. The other fires I have set have been more contained. COLVINWell, the next fire I set, they've had to do with men because men can make you do insane things, as you may know. I don't know. And I had some mementos from a couple of different relationships that ended poorly and I had the desire to, you know, I felt somewhat vengeful and very disappointed and had the desire to burn the mementos, you know, and I did. I did. I burned them. COLVINWell, one time I burned them in a little cookie tin and there weren't that many, a short relationship, not too much to burn, a couple of pictures, a check that I'd written to him, a cashed check, because I'd written him a check to come and visit me. It was silly. But in that particular case, I had set the tin, like a cookie tin, down on the floor and I had a synthetic rug, started the fire and it began to bubble up the floor under, you know. That one didn't work out so well. COLVINAnd the next time that I burned stuff up, that had to do with, you know, that were relics from my doomed relationship, was not that long ago, a few years ago and I had a lot more stuff this time. I had cards. I had letters. I had locks of hair. I had pictures and I went to my -- I had a fireplace, so lucky me. REHMNow does that work for you? Does burning the possessions help you get rid of the bad memories? COLVINI don't know if it helps me get rid of the bad memories, but there's something cathartic about it. And I really don't want the stuff around, you know, it's time. That's a pivotal moment when you say, I can't stand to see this stuff anymore. I literally can't stand to have this stuff around anymore. So I guess it's pivotal in its own way, you know. I don't know if it burns up all the bad memories, but it's cathartic. REHMTell me about your career. Some people think when you have a big hit that, you know, you're an overnight sensation. REHMYou got your first guitar when you were ten. You wanted to be in music from then on? COLVINI did, I did, and I remained in music from then on. It's my thing. It was my calling, as they say. So no, it wasn't overnight. I was, hmm, 39, 40 years old when "Sunny Came Home" became a big hit so plenty of dues paid. REHMWhy do you think it took so long? COLVINI don't know. Everything took a long time with my career. I wasn't comfortable writing songs, even though all my heroes were songwriters. I could sing, very comfortable singing, very comfortable playing the guitar, very comfortable getting in front of people, no problem with that, but songwriting, terrified, terrified. COLVINI wanted to be a songwriter, but just terrified to do it, thought I didn't have what it took so I didn't try. So I didn't really know how to push myself to a place where I might have had a career because I couldn't envision it without being the whole package, without being the singer, the guitar player and the songwriter. I just couldn't sign off on that. COLVINSomething was missing and I was unmotivated to do without the writer part. I didn't want to go after the career in a big way. So I kept working on the songwriting and then I finally figured it out. I figured out my voice, my talent, things I wanted to say and, you know, I figured it out. REHMAnd here you are, Shawn Colvin. Her new book is titled "Diamond in the Rough." She also has a brand new album out this week, "All Fall Down." Do join us, 800-433-8850. REHMShawn Colvin is with me. She's got a brand new book out. It's titled "Diamond In the Rough," as well as a new album out this week, "All Fall Down." We have a specific request from Richard in Hollywood, Fla., he says "'Even Here We Are' is one of my all time favorite songs of any singer songwriter. I find it beautiful and deeply moving." Will you play it for us? COLVINAbsolutely. Let's just make sure I'm in tune really quickly. COLVINThank you. This is the Shawn Colvin model Martin guitar. Now that is a dream come true. REHMThat's a dream come true. REHMJust beautiful. Is there a special story behind that song? COLVINWell, only in that it's ironic and I'll tell you now, I did not write that song. It's written by a man from Minnesota named Paul Westerberg, but one thing that I'm known for, in part, is doing a lot of cover songs and doing them generally differently than the original group or artist and making them mine, as it were. And that's one of them. I put that on a record called "These Four Walls." REHMWhy did you choose it? COLVINWell, you know, for a long time, when I didn't write and I would perform places, all I had was covering other people's songs. And I just wait for them to kind of grab me. Something, you know, just like anybody, you know, when you hear a song, you're like, I've gotta hear it again. COLVINWell, I've gotta hear it again. So you fall in love with the song and sometimes it works to cover it. And, you know, there are times when I haven't done such a good job, but I really enjoy finding songs and covering them. REHMYou write in the book "Diamond In the Rough" that growing up in rural South Dakota really allowed you to dream big dreams. What do you mean by that and how did your family play into those dreams? COLVINWell, there was so very little to do and we didn't have -- we had one phone in the house. Kids didn't talk on the phone constantly. We had to go outside, you know, or stay inside and read or play the guitar. We weren't on Facebook, we weren't on Tumblr or Skyping or engaging in this kind of virtual social life that -- I have a 13-year-old daughter so I see it in action. And, you know, you get a little inspiration, a little tweak of inspiration and longing and ambition and dreams. COLVINAnd I guess one of the first inspirations like that for me was The Beatles. And so my favorite thing to do was to put on these boots that resembled Beatles boots and a jacket of my mother's that was kind of a leather pea coat that resembled a jacket of The Beatles and I would just go walk in the countryside and fantasize that I was a Beatle or a Beatles' girlfriend. And that's what captured my fancy and underneath it all was a desire to be a great musician. REHMWas there anything in this last couple of years that made you feel, I want to be a writer, I want to write "Diamond In the Rough?" COLVINHow did you think that? Why did you think so? REHMBecause I think that your sense of yourself is someone who plays, sings, adores music and perhaps thinks less about, well, I want to write a book to go along with it. REHMThat's the way they hook you. COLVINThey hooked me in. That's exactly right. REHMYou chose that title for your book, tell me why. COLVINA number of reasons, not the least of which I thought it looked great with the picture. REHMThe picture of a little tiny girl with pigtails. COLVINYes, I'd say I was about -- it's me. I'd say I was about four, five and I'm playing in the mud. COLVINIn the mud. So I thought that was kind of cute. REHMUp to your knees in mud. COLVINVery happy in the mud. "Diamond in the Rough" was the first really significant song I wrote where I thought, I figured this out. I figured this out. I've melded the things that I was inspired by. I found my, you know, best talents and I've been able to do it. I've been able to channel it into some words and music that I stand behind a hundred percent. I'm really proud. It was that song. REHMAnd after you put it on paper, did you look at it and sing it and say, I've got it? COLVINNo. There was a little litmus test I had to perform before that. I had written a verse and I had a writing partner who actually wrote some of the music to that and we had written a lot of pretty bad pop songs. You know, it wasn't my thing. I wasn't getting anywhere with that, but, you know, at least I got my toe in the water with that stuff. So I took this song that he gave me, it didn't have a melody or words to it, and it was really kind of a pop song, you know, kind of went along in this jumpy way. And I was like, I am a solo acoustic guitar player, you know. COLVINI figured that out. That's what I do. That's what I'm good at, that's what I grew up on, what I cut my teeth on, all these great singer songwriters of the '70s and the '60s. And I was like, if I can't take this piece of music and make it work with me on a guitar all by myself, then it's not the right piece of music. So I did. I covered it, you know, in my own way, instead of just singing over his track. I got out the guitar and copied the way I needed to copy it and changed it up a little bit rhythmically. COLVINAnd, of course, there was a different sound because his was full of electric guitars and drums and I just had this acoustic guitar. And then, I wrote some words and they just kind of came out of my mouth. And I thought, oh, my God, you know, is this really any good? Is this, 'cause as a little girl, I came up with this, it's kind of twee, you know. So I called John, who, you know, was my -- I don't know, I turned to him to validate, you know, what was good. And he said, well, I think you have something, keep going. And that was kind of the star of approval that I needed to finish the song. REHMShawn Colvin, her new book is titled "Diamond in the Rough." And you're listening to "The Diane Rehm Show." I was startled to learn that, at one point, you went through anorexia. You got down to 86 pounds. It's a miracle you're alive considering that and then you ballooned up 60 pounds in three months. REHMAnd you were 22 years old. You said you looked like a giant whale. COLVINI did, I did. I was very tiny and then I was very big and nothing fit me. And I certainly felt better, honestly, than I had when I wouldn't eat at all. But I made up for lost time, you know. REHMHow do you think that anorexia -- or why do you think that anorexia began? You're so thin now. I cannot imagine you at 86 pounds. COLVINYeah, it was devastating and hard to watch. And I feel bad for my folks, you know, to have to see that. I don't know what I would do if that went on with my daughter. I'd be heartbroken beyond all telling. The way it started for me -- and I was not a teenager. I was a little bit older than that, obviously, which is not the norm really. I think mostly it starts with teenagers, but I had -- I was kind of a momma's girl and afraid to leave home. COLVINWell, eventually, but I got a job at a clothing store and my boyfriend was continuing to go out on tour. So I was alone in this house, for all intents and purposes, and I had to feed myself alone, which I'm still not so good at doing, to tell you the truth. And I took up running because I was bored. And that was the perfect storm, you know. REHMShawn Colvin. Her new book is titled "Diamond in the Rough." She has a brand new album out as well. When we come back, your calls, your comments. I look forward to hearing from you. REHMMany callers and emails for Shawn Colvin, her brand new book is titled, "Diamond in the Rough." Let's go first to Olney, Md. Good morning, Lori, you're on the air. LORIGood morning, Diane. When I heard Shawn Colvin was on your show, I wanted to call in and share just a brief story with her. Back in about 1995 or '96, I went to a wedding in the mountains of North Carolina and the bride's brother was married to Jackson Brown's sister. And for whatever reason, Jackson Brown was at that wedding. And I had always been madly in love with Jackson Brown and his music. LORIAnd so I decided there was nobody else in the world I would have wanted to meet, you know, more than Jackson Brown. So I went up to him and I asked him to dance with me. LORISo after he took a picture with the bride, he danced with me. And while I was dancing, I was telling him how, you know, there was nobody else I would rather have met. And what he said back to me was for him that would be either Bonnie Raitt or Shawn Colvin. COLVINHe's been -- yeah. Isn't that great? COLVINI mean those are -- that's the pinch me stuff. LORIThat was a very meaningful moment for me and it's, obviously, all these years later, stuck with me. REHMLori, thanks for sharing that. COLVINOh, yeah, I can hardly even speak. I love Jackson Brown. I love his song writing. I adore him and he thinks I'm good, you know. You know, he thinks I'm good. REHMWe've had a number of requests for "Shotgun Down the Avalanche." Would you play it for us? COLVINAbsolutely. I may not be in the best voice, as you've noticed already. REHMShawn Colvin performing live here in the studio. Her new book is titled "Diamond in the Rough." She also has a new album out this week called "All Fall Down." And let's go to Orlando, Fla. Good morning, Amy, you're on the air. AMYHi, Diane, how are you? REHMI'm great. How are you? AMYI'm tickled pink over this experience of talking to you and Shawn Colvin. AMYI can't believe it. Anyhow, I do have an all-time favorite. For years, "Orion" has been literally my all-time favorite. And I'm very curious as to what does that song mean to you? Where were you at at the time that you wrote it? Just its background, please. It's touched me in a way that I think it just speaks to me on such a deep level. And I just want to know how it speaks to you, Shawn. COLVINWell, I would love to know, actually, how it speaks to you. I'll tell you how it came about real quickly. My first husband was an Englishman, but he had family in Australia, a son, among others. And so his heart was there a great deal. And we would go and visit every Christmas. And one of the things he and his son would say to each other is, well, we can both see Orion in the sky no matter where we are. COLVINAnd I loved it down there. I was really enchanted by Australia. And it came to mind that, you know, maybe it's the one safe place we can go, maybe kind of escape down there, you know, underneath everything. That was my fantasy. And so I took the character of Orion and kind of wove in some mystical stuff about, you know, healing and the state of the world. REHMWhat were you feeling the need to run away from at the time? COLVINNot so much run away as -- I mean, I wasn't running away from anything. I was quite happy. But I was really enchanted by the country. And it seemed to hearken back to an America that existed, you know, 40 years prior. And that was -- it was a comfort. And it just seemed like they were removed and I was probably projecting something onto them. Sure, they have their problems, but it just felt to me like it was a fresh start. REHMAnd yet in your words, "Shotgun Down the Avalanche," you say, sometimes you make me lose my will to live. REHMWhat was going on then? COLVINOh, that was a romance that brought me many songs. I'm very grateful for that. REHMAnd yet it must have been a pretty unhappy situation. COLVINFrom time to time it was and it's really all down to me. I was in my early 20s and I just have some problems really, kind of in the intimacy department and to move slowly and get to know someone well and be friendly. And I kind of, you know, buy the China on the second date, if you know what I mean -- the wedding China. COLVINAnd I just was sucked into this thing and gave it my all and more than my all, gave myself up. And, hence, the line, you know, I just kind of feel like I would give over my own life to you. REHM...you said we are over the edge. COLVINWell, there was the metaphor for me, yeah. We were -- and I felt like a passenger, like, I'm just -- we're going down. And I don't want to, but here we go. REHMThere's another song here, "Polaroids," from "Fat City." Tell me about that. COLVINI'm very, very proud of that song. I wrote that song by myself and that's a big accomplishment for me to write a song alone. I've written several. And I like this song a great deal. It's just another chronicle of -- it was almost a photo journal of a trip to Europe that I took, first time I ever went. A love affair that I had there, coming back to New York and working on music. And, you know, kind of lamenting the dishonesty and hurt between all of us sometimes, whether it be a business relationship, a personal relationship. And then I dreamt a dream that ended the song. I dreamt it and it was the perfect ending for the song. REHMWill you play it for me? COLVINOh, sure, sure. I will definitely play it for you. It's kind of a long one. Are you ready? REHMShawn Colvin performing for us here in the studio, "Polaroids." She has a brand new book out. It's titled "Diamond in the Rough," as well as a new album out this week called "All Fall Down." Shawn Colvin, what a pleasure to talk with you. COLVINI'm very well, thank you. REHMI'm so glad. Thanks for being here. REHMAnd thanks for listening all, I'm Diane Rehm.